Managed WordPress Hosting – Do You Need It? You have been struggling with shared hosting for a while now. Your site slows down at busy times of the day, and you are looking for better hosting that doesn’t break the bank. Is managed WordPress hosting the answer? Quite possibly. Most hosting companies offer WordPress hosting for a slightly higher price than standard shared hosting. Features vary roughly in line with charges, but any WordPress hosting plan is going to provide better site performance than a standard shared hosting plan. We all know that there are thousands of hackers out there who target WordPress and get their kicks by finding new vulnerabilities. You might have installed security plugins, but they make your life more difficult, and they still don’t guarantee your site is hack-proof. 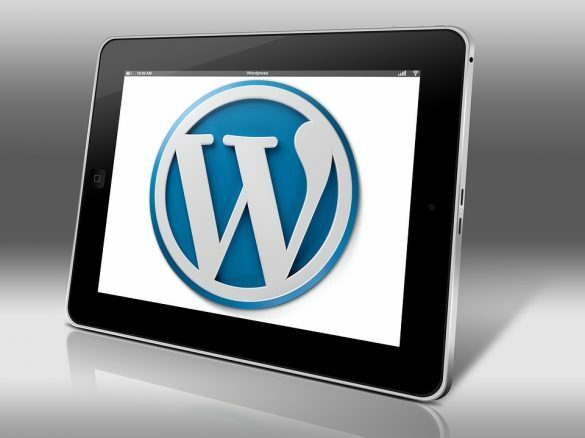 Managed WordPress hosting often includes many extra security features. Automatic updating of the WordPress version and plugins would free up a lot of user time. Two-factor authorization (2FO) for users. With 2FO, even if the platform is hacked (and it happens), your site will still be protected. Automated scanning of plugins and themes for viruses and malware against an internal database. This could save your site from becoming a smear on the virtual highway of the Internet. For a more detailed security discussion check out this WordPress hosting guide. You expect to get what you pay for, but as the chart below from HostAdvice shows, managed WordPress hosting gives you many of the advantages of a Virtual Private Server (VPS) package for a much lower cost. WordPress hosting gives you more processing power in the form of RAM, CPU cores and simultaneous I/O processes. There are limits on storage and bandwidth in a managed WordPress environment, but this is not an issue. The ‘unlimited’ bandwidth and storage that most shared hosting accounts boast of is misleading because neither bandwidth nor storage is the limiting factor on the hosting and no user will ever get a chance to use the unlimited storage or bandwidth because the account will be limited because of over-usage of CPU resources. In shared hosting deals, the hosting provider places a very low limit on the number of simultaneous I/O processes, sometimes as low as 25. With such a tiny limit on the CPU usage, no user is ever going to need the ‘unlimited bandwidth. Your time is worth more than you think. If you think this doesn’t apply to you, then think of what else you could do with the time you spend each day updating and backing up your site. That time could have been spent prospecting for new clients, networking with old clients or developing a new resource to serve your users more efficiently. You only have a few hours a day of maximum creativity. Are you wasting those precious minutes on basic tasks you could pay someone a few dollars a month to perform? You pay a bit more, but you get a lot more, plus you regain some of your precious time. Comparison sites allow you to put your current hosting with your chosen WordPress hosting packages. Side-by-side comparisons of managed WordPress hosting Vs. your current shared hosting will show up the differences and convince you the extra cost is worthwhile. Managed hosting starts at $7.95 per month, against shared hosting that comes in around $2.95 for a package from one of the large (but lowly rated) hosting companies. An extra $60 a year for a more secure, less time-consuming hosting contract seems like a great deal. WordPress hosting gives you a larger CPU share, more simultaneous i/o CPU processes, and less-crowded servers than shared hosting plans. Anyone of these three will make your site load faster; all three are like a dream come true, especially for just an extra few dollars a month. Hosting packages vary tremendously in what they include, so review sites like HostAdvice.com become essential reading for independent reviews and comparisons on WordPress hosting. Reliability is critical for any business blog, and if you can improve users’ experience for $5 a month, you should do it. I am slightly confused about semi-managed and managed WordPress hosting providers. Could you please tell me how I can differentiate between the two? If possible, can you name a few best hosting providers for WordPress websites?